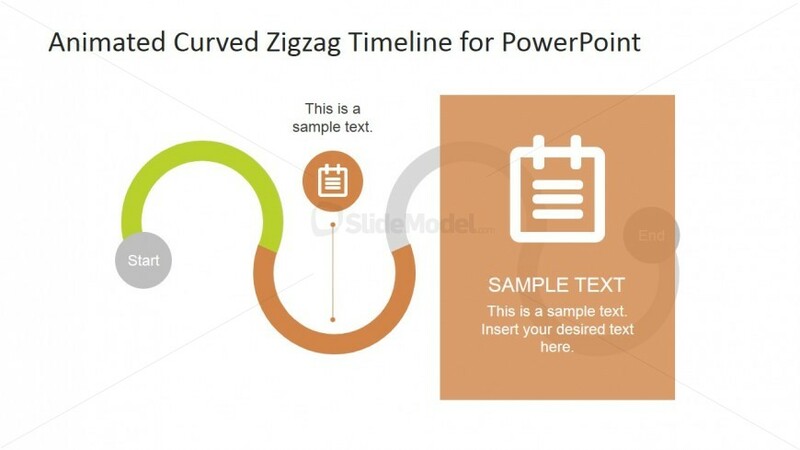 This PowerPoint slide shows a second stage milestone curved timeline, represented by the second segment in a zigzag path, which is highlighted in orange. 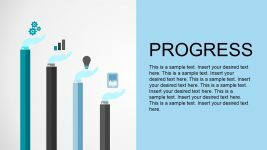 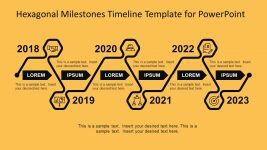 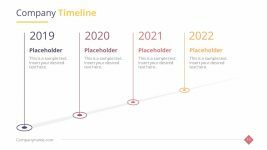 The slide design may be used to present the second step or goals achieved in a sequence of business procedures or marketing goals. 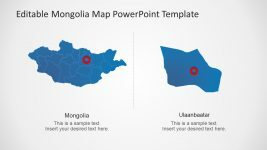 The second orange segmented, preceded by a segment in green, is connected to a generic notepad icons in a circular orange PowerPoint shape by a lime, and is accompanied by a text placeholder where a label may be inserted. 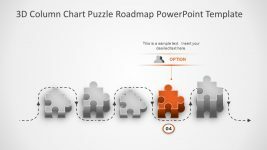 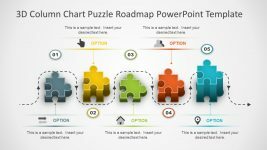 Further explanation for the PowerPoint template may be inserted in the text placeholder found inside the orange rectangular shape with a bigger notepad icon. 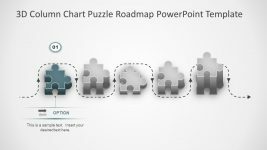 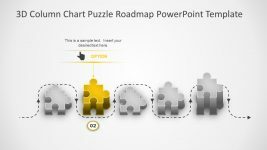 All PowerPoint objects are 100% customizable to suit the presenter’s needs and preferences.